Popular file-sharing website, Megaupload, has been shut down by the federal authorities. Oh, and it turns out its CEO is a music producer. Quite a famous one. Before we get to the good part, here's the skinny on the takedown. The indictment, which was just unsealed today, accuses Megaupload of breaking anti-piracy laws and claims its pirate-enabling ways have cost copyright holders more than $500 million in lost revenue. According to reports, charges have been laid against seven Megaupload employees - four of which are already in custody in New Zealand. The Department of Justice reckons this is "among the largest criminal copyright cases ever brought by the United States," and listed the coming charges as "racketeering conspiracy, conspiring to commit copyright infringement, conspiring to commit money laundering and two substantive counts of criminal copyright infringement." Megaupload's side projects, Megavideo, Megapix, Megabox, and yes, even Megaporn have all been taken down as well. Now, you might recall that Megaupload was having some legal troubles with universal over a bizzare hip-hop video praising the Megupload service. Now the video makes a bit more sense as it turns out it was produced by Megaupload's CEO, who is none other than multi-million selling hip-hop producer Swizz Beatz. 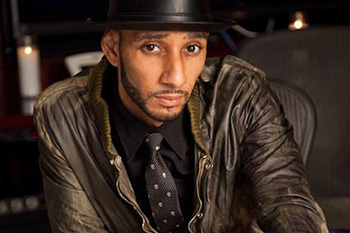 Yes, that Swizz Beatz. The one married to Alicia Keys. "The fact is that the vast majority of Mega's Internet traffic is legitimate, and we are here to stay. If the content industry would like to take advantage of our popularity, we are happy to enter into a dialogue. We have some good ideas. Please get in touch." Update: While the Megaupload domain has been seized, you can access the site, or a facsimile thereof, via this IP address.